In ‘A las Barricadas’ magazine we published a map some months ago of social centers (squats or not), cultural associations, think tanks, foundations, social libraries, bookstores and other places of anti-authoritarian character.The very variety of the Iberian anarchism today, makes it difficult to categorize or locate many spaces. possible that even in every neighborhood there are several. 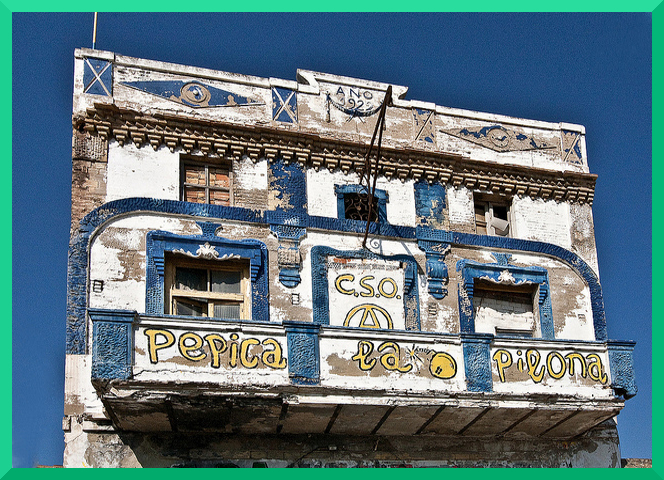 According to the weekly info-mural sheet ‘USURPER’ (Info Usurpa) in the city there are about 24 CSOs (Occupied Social centers), to which must be added those that carry out their activities from time to time and do not appear in InfoUsurpa. What’s more, we should add another dozen libraries and social ‘ateneos’ (autonomous workers centers) with more or less explicitly libertarian inspiration. In total at least 40 community centers (including Ateneos and others) in the city (but not all with daily activity). In the past decade the squatcenters have attracted many young (and not so young) who came to the city from all sides. 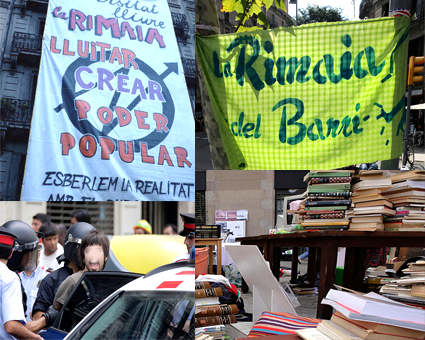 In some neighborhoods the squatting has been endemic, as in Vallcarca or Poble Nou. 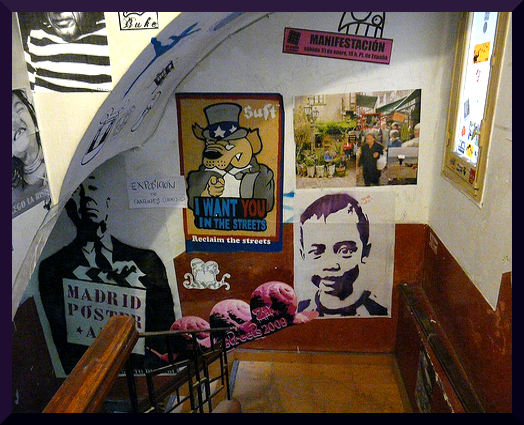 Now there is a little everywhere, especially in Carmel, Sant Andreu, Sants, Horta, Clot, the Raval … It has lost the strong presence that it had in Gràcia in the past, but it has moved to other neighborhoods. But the phenomenon of squatting has spread across the whole of Catalonia. CSOs can now be found in the industrial cities around Barcelona.. Molins de Rei, L’Hospitalet, Cornella, Vilamoura, Castelldefells, Santa Coloma, Badalona, etc.. 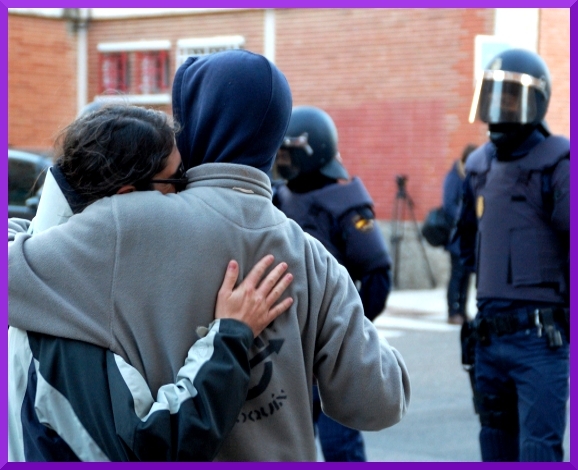 There is also some displacement of squatters into neighboring Sierra Collserola mountains in the municipalities of Sant Cugat, Cerdanyola, Moncada, La Llagosta … Kan Pasqual and Can Masdeu.. are rur-urban squatters, with one foot in the city and another in the field. 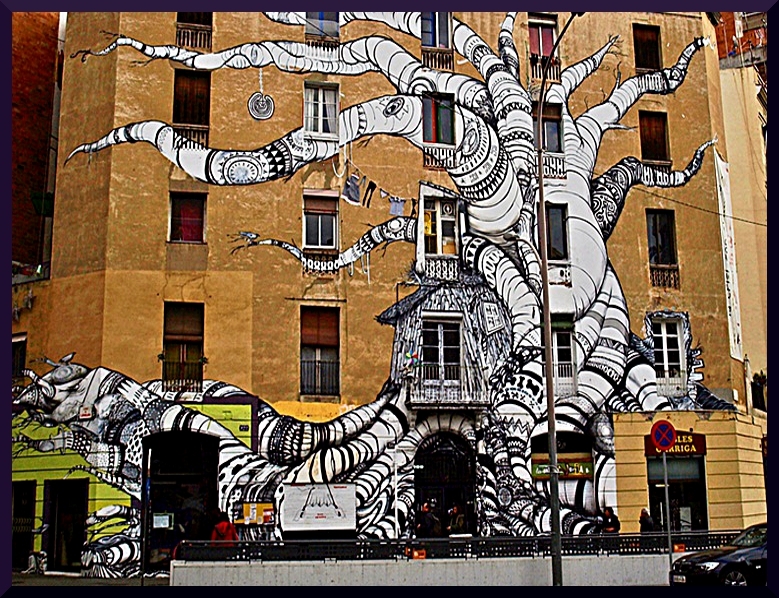 This idea has spread to other CSOs around Barcelona. And of course the rest of Catalonia, Tarragona, Reus, Baix Llobregat, Barcelona Nord, Sabadell, Terrassa, Manresa, Cerdanyola, Girona, Figueres, Lleida, and so on. There are probably as many CSOs outside as inside Barcelona city. Often there is a “squatter emigration” from Barcelona to the villages and smaller towns. In others it is the original people from the villages, that after participating in the Barcelona squatting movement, have decided to return home to OKKUPY. Note.. The 15M Occupy movement is also strongly attracted back to the land. A problem that may be associated is the creation of certain “culture of the snack bar.” This means that the militant social circle in the center evolve a lack of communication with other social centers (of even their own neighborhood), without being coordinated to carry out common good politics. Sometimes more centers can mean more dispersal of social activists.. Managing an occupied social space can be difficult and exhausting. Especially if you enter into the dynamics of judgments, evictions, squatters, enabling space, student holidays … which can lead to disabling social activists for months until they have their own space underway again. In the 30’s, according to Pere Solà, there were about 200 Ateneo centers run by Catalan workers. Today the number of social and cultural associations – although we may wonder – is not much less than this amount (about 70 between squatted social centers and cultural associations, some 50 of the Catalan independence movement and another 20 or 30 ideologically undefined). But whereas in the years ranging from 1910 to 1939, every Ateneo had 100, 200 or 500 people associated today in every community center there is an affinity group that is managed and how much some groups that give use . That is, if successful, the social center will have a dozen people running it, or if we include supporters who go through the CSO or Ateneo about 50 or 70 people (which is not bad, of course!). In short, if in the 30’s the phenomenon of labor ateneísmo figures moved tens of thousands of members and activists today are just a few hundred people and a few thousand supporters. Among the short-term needs is the coordination of social centers belonging to the same ideological tradition (eg, CSOs more explicitly anarchist libertarians with the Athenians) and intergenerational generation of spaces in which knowledge is transmitted and take a policy formation process of the new generations (so you do not have to “reinvent the wheel” again and repeating the same mistakes that past generations). 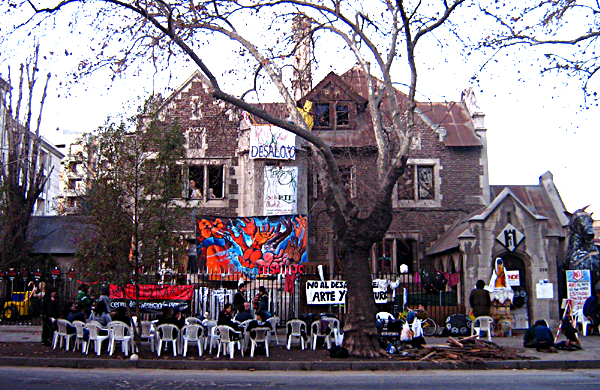 As to what is known as “squatters’ movement” … In the Barcelona squatting no longer dominates the anarcho-punk atmosphere of the past, which made squatting had a certain aesthetic and ideological coherence, but now there are many variations with many political and aesthetic nuances, which makes it impossible to identify the new squatters politically as belonging to the same movement. Some are separatists, communists, autonomous anarchists, women, postmodern, queer, punk, counter-cultural, ravers, undefined, and so on. Is not the same Can Vies, as Kasa de la Muntanya, you can’t compare the series of Rimaia free university occupations with the District VI and the huge ‘circus squats’.. In Barcelona, today we should speak of “squatting” without more adjectives, iunstead of “squatters’ movement.” We believe that what really should matter is whether a social center falls within the libertarian movement or not, whether that’s part of its business or not. And if so, begin to create opportunities for mutual understanding and collaboration. We understand that the root cause of the malfunction la Assemblea d’Okupes of Barcelona is the very fact that the squatter movement is too dispersed. Otherwise, the generations go by without libertarian practice evolving ideologically, and centers burn out naturally over the years. By number, Madrid would be the third area of the state with more squats. Today there are about 15 in the capital and about 6 in the Community. This is a record. There has never been more occupied social centers. There are also other universities and community centers that complete the picture coming to be more than 40 social spaces. A similar situation occurs in the city of Barcelona, which is sometimes duplicated efforts, and collaborate rather than fall into certain excess of diversity. 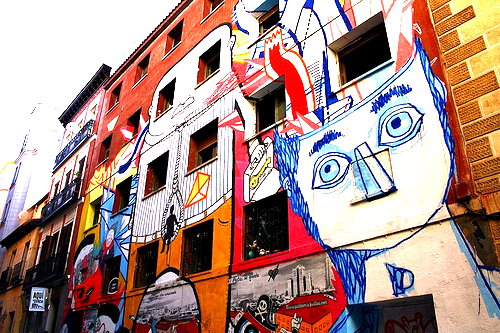 However, as there are fewer social centers in Barcelona, it is logical to occur later this numerical growth causes the subsequent referral to the various political movements that adhere to different centers (anarchists, communists, postmodern, and so on. .) Since then Madrid is still in growth phase, but at a pace that will squats in the city in a few years will be achieved or install an Athenian social center in each neighborhood. And all over the place!!! Galicia is an area that has experienced a remarkable growth occupied social centers, driven mainly by the independence movement there. In some ways trying to emulate their fellow Basques and Catalans, and to some extent have achieved success going from almost zero to twenty social centers in five years. In the more libertarian countryside there are 5 and about 3 ‘athenaeum’ squats and social libraries. There are also 5 other local initiatives which can classed as libertarian. As for the rest of the peninsula, we have the case of Andalucia, which despite all its extension has little tradition except in Granada, Seville and Malaga. In any case in recent years there have also been occupations (some failed to take) in Cordoba, Cadiz, Chiclana and Moron. 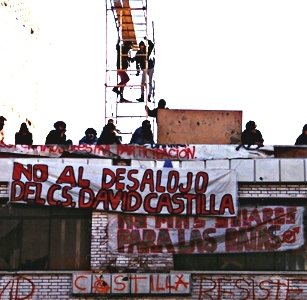 Here its often squats of blocks of flats with neighbors, where social activists join in squatting and which become social centers occasionally (this also happens in Madrid and Barcelona). There are also new CSOs on the island of Tenerife (2), Murcia (2), Cuenca (2), Burgos (2, 1 and evicted), Logroño, Salamanca, Valladolid, Leon, Salamanca, Oviedo, Palma, Zaragoza .. . and many places that years ago would have been unexpected as Arnedo, Badajoz, Plasencia or even Valdepeñas (who was evicted). And say nothing of smaller towns rhytm, Madrid and Catalonia, with squats (and some even more). We conclude that the phenomenon of squatting, despite the laws, despite police repression and all the “bad reputation” associated with it, has remained over time, and has even spread throughout the Spanish state . Right now all regions except Cantabria have squatted social centers( although it had one three years ago and has some ‘Atheneos’. According to the map, there are some 140 CSOs counted statewide, but some are probably left out and others already lost. 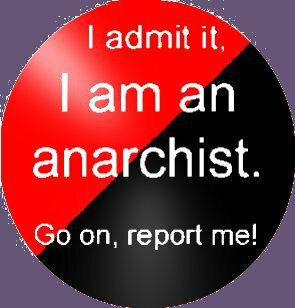 For several years the libertarian movement has been complaining about the lack of anarchist Ateneos. 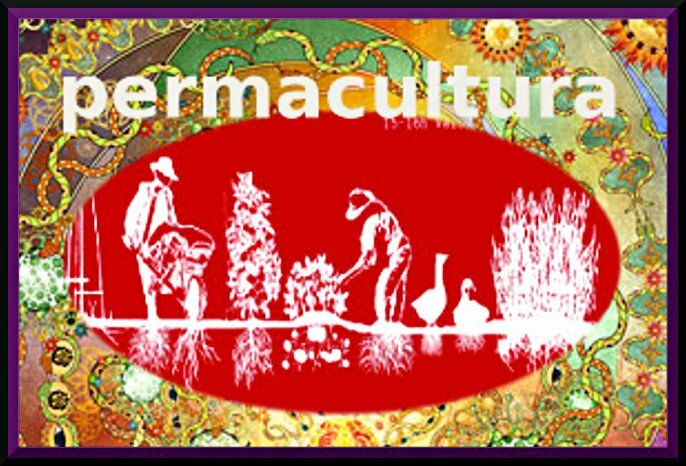 (traditional workers social centers). Usually these Atheneos were linked with anarcho-syndicalist unions, but by the 70’s some were created in Catalonia which were autonomous anarchist organizations. With the advent of the crisis in the Iberian anarchism in the 80 and 90, the number of Ateneos remained very low and usually associated with anarcho-syndicalist unions who organised them. Anyway, in the last 5 years or so, we are seeing an upturn, with the creation of new explicitly libertarian cultural associations . The drive has several sources. On one side are the unions that create them, because they believe it is the line to be followed for the training of its members and to lead them cultural activity. On the other hand, we have different anarchist activists who, instead of creating a social center create an ideologically undefined libertarian ‘ateneo’ . Some of these activists have learned from their experiences in squatted environments , or being in assemblies too pluralistic for their point of view. The fact is that now there are about 50 libertarian cultural associations in the state and every month we hear of new ones. The creation of free spaces, the generalization of these initiatives in particular areas (cities and districts with several social centers), and horizontal expansion (in terms of territory: new districts, new towns and cities which are receiving social activist groups) cause the spread of anti-authoritarian practices and are fairly widespread. 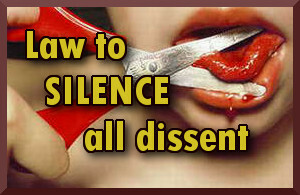 It is clear that this freedom movement of our time lacks an ideological coherence. 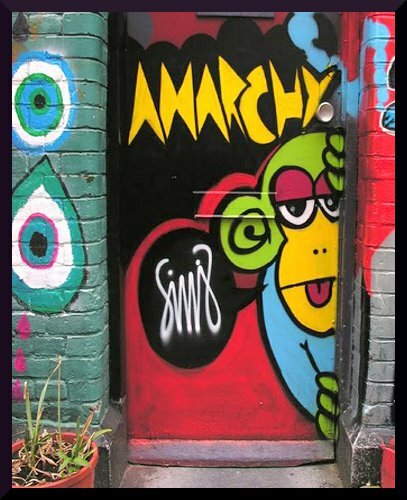 Many people involved in these initiatives refuse to be labeled as anarchists. There is no self-consciousness of “liberation movement” out of the unions libertarian or the Athenians, and autonomous or anarchist insurrectionary groups. We need to change this dynamic and work together to include self-managed different libertarian initiatives in a social-political movement, coherent in terms of principles and objectives, while plural as to tactics. But that all members feel part of the project and see their initiatives as complementary. We must begin to recognize that we are not so few as 15 years ago, and we need to change perspective. The movement is no longer so defensive, enclosed in a comfortable (and sometimes thankless) ghetto, and has begun to expand. It’s a good time to welcome without fear new people from other political traditions, and above all, people never politicized. The emergence of 15M reminds us of the need to be attentive to what happens in the street, not to despise any opportunity to let our message be heard, because after all “there is something left.” And above all, lets take every opportunity to continue building this libertarian infrastructure (spaces, own media, support groups, means of economic self-management, etc..) To be the basis of “parallel society”. transalation by Google and corrected and slightly edited by this blogger. (one note. In Spanish ‘libertarian’ means ‘left wing anarchist’. Hay contabilizados unos 140 CSO en todo el estado, pero como siempre, “ni son todos los que están ni están todos los que son”. En Alasbarricadas publicamos hace meses un mapaque hace las veces de directorio de centros sociales (okupados o no), ateneos, centros de estudios, fundaciones, bibliotecas sociales, librerías y otros espacios de carácter anti-autoritario. Se trata de crear un listado exhaustivo de iniciativas libertarias destinado a convertirse en una herramienta más del movimiento libertario (o de los diferentes movimientos anti-autoritarios). Es importante que la gente que comienza a tener curiosidad por el anarquismo o inquietudes sociales, tenga lugares de referencia en los que encontrar anarquistas. Sin embargo, la propia variedad del anarquismo ibérico actual, hace difícil catalogar o localizar muchos espacios. Por ello el directorio es lo más amplio posible, sin ánimo de excluir a nadie, intentando que cada persona pueda encontrar y desarrollar sus afinades. Pero también estos mapas sirven para realizar análisis en base a los datos que aportan. Probablemente uno de los resultados colaterales del movimiento del 15M, del 2011, haya sido la cantidad de okupaciones que sus diferentes asambleas han llevado a cabo. Estas okupaciones han afectado incluso a territorios anteriormente libres de okupaciones, extendiendo esta práctica. Además de Madrid y Barcelona, las okupaciones del 15M se han desarrollado por Zaragoza, Cuenca, Murcia, Vigo, Burgos, Oviedo, Palma o León. No sabemos en qué pararán estas nuevas okupaciones, pero no podemos negar que es positivo que hayan adoptado la práctica de la acción directa. Algunas son okupaciones simbólicas, flor de un día, otras están destinadas a viviendas, pero más de una se convertirá en centro social de barrio. Quienes llevamos ya años en temas políticos habremos leído otras veces comunicados sobre las intenciones de un centro social okupado cualquiera. Por muy del 15M que sean, las intenciones de ser un centro social de “barrio para el barrio”, que realice “actividades para lxs vecinxs”, así como que sea un “lugar de encuentro”… son idénticas a las de los centros sociales de los 90. Hablando del fenómeno de la okupación observamos diferentes contextos en el estado español. Por ejemplo, de todxs es sabido que en Euskal Herriak juegan en otra “Liga” ya que hay gaztetxes okupados casi por todas partes. Solamente en Bilbo ciudad hay cerca de una decena. 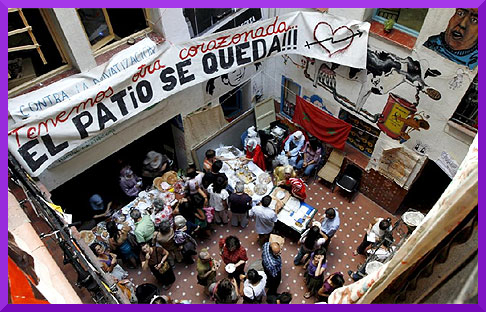 Se cumple, más o menos, la idea de un “centro social en cada barrio”. Influye mucho el contexto político, claro está. De hecho la mayoría de los gaztetxes orbitan en torno a la izquierda abertzale de una forma más o menos abierta. En otros casos son más hippies, con menos contenido político, y en otros incluso autónomos o libertarios. Como muestra de la fuerza de este movimiento okupa autóctono está la respuesta al desalojo de Kukutza III, en Bilbo, produciéndose la manifestación en favor de la okupación más grande de los últimos años (probablemente) de Europa. De todas formas en Iruña se ha dado un descenso acusado, pasando de 10 a 1 (el de Zizur Nagusia) en los últimos años, fruto de una brutal represión. En la ciudad de Barcelona se cumple también esa frase de “en cada barrio un centro social”. Es posible que incluso en cada barrio existan varios. 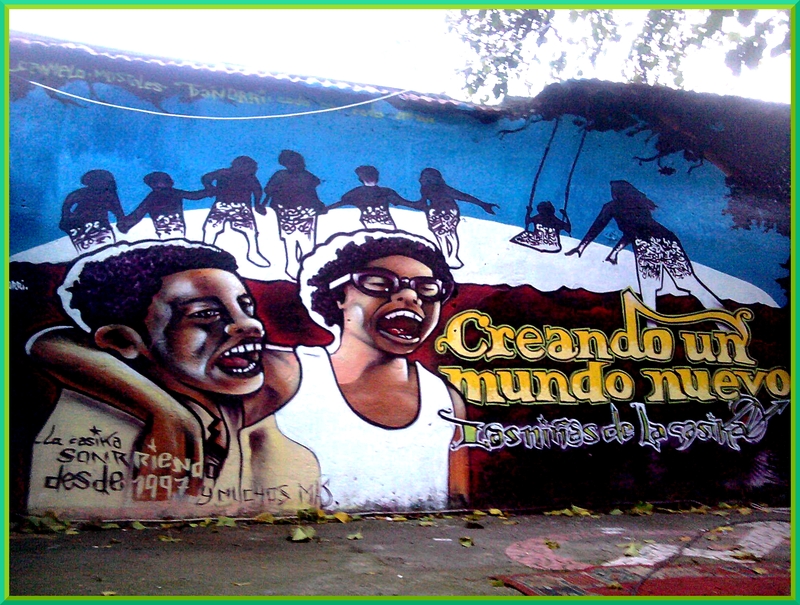 Según la hoja mural del Info Usurpa, en toda la ciudad hay unos 24 CSOs, a los que habría que sumar los que realizan actividades propias de vez en cuando y que no aparecen en el Usurpa. Por si fuera poco, habría que sumarle otra decena de ateneos y bibliotecas sociales de inspiración algo más explícitamente libertaria. Fácilmente habrá unos 40 centros sociales (incluyendo ateneos y demás) en la ciudad (pero no todos con actividad diaria). En la pasada década se ha consolidado la okupación, atrayendo a numerosos jóvenes (y no tan jóvenes) que venían a la ciudad de todas partes. En algunos barrios la okupación ha sido endémica, como en Vallcarca o Poble Nou. Ahora se da un poco por todas partes, en especial (además de en esos barrios) en el Carmelo, Sant Andreu, Sants, Horta, Clot, Raval… Se ha perdido la fuerte presencia que hubo en Gràcia en otros tiempos, pero ésta se ha trasladado a otros barrios. Pero el fenómeno de la okupación se ha extendido por Cataluña entera. Predominan por número los CSOs de las ciudades industriales de los alrededores de Barcelona como Molins de Rei, L’Hospitalet, Cornellà, Viladecans, Castelldefells, Santa Coloma, Badalona, etc. Aunque también se observa cierto desplazamiento de okupas hacia la vecina Sierra de Collserola (a tiro de metro o tren) en los municipios de Sant Cugat, Cerdanyola, Montcada, La Llagosta… Kan Pasqual y Can Masdeu abrieron la veda de las okupas rur-urbanas, con un pie en la ciudad y otro en el campo. Esta idea se ha extendido a otros CSO de los alrededores de Barcelona. Y por supuesto también en el resto de Cataluña, como en Tarragona, Reus, el Baix Llobregat, Barcelonès Nord, Sabadell, Terrassa, Manresa, Cerdanyola, Girona, Figueres, Lleida, y un largo etcétera. Probablemente existan ya tantos CSO activos fuera de Barcelona como dentro. Muchas veces se produce una “emigración okupa” desde Barcelona hacia los pueblos y ciudades más pequeñas. En otras es la propia gente emigrada desde estos pueblos, que al participar en el movimiento okupa de Barcelona, al retornar a casa decide okupar. El problema que puede llevar asociado tanto centro social es la creación de cierta “cultura del chiringuito”. Es decir, que la militancia se encierre en su centro social produciéndose una incomunicación con los demás centros sociales (de incluso su propio barrio), sin llegar nunca a coordinarse para llevar a cabo una acción común efectiva políticamente. Así, se podría dar que, a más centros sociales más dispersión de la militancia. Y es que gestionar un espacio cuesta mucho esfuerzo. Especialmente si se entra en la dinámica de juicios, desalojos, okupación, habilitación del espacio, vacaciones estudiantiles… que puede llevar a desactivar militantes sociales durante meses hasta que tienen su espacio propio en marcha otra vez. En los años 30, según datos de Pere Solà , había en Cataluña unos 200 ateneos obreros. 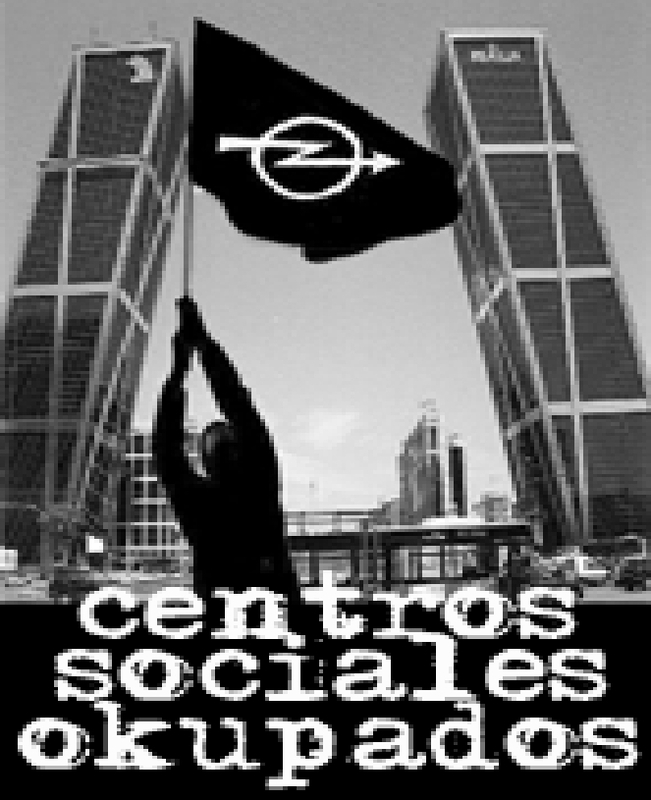 Hoy en día el número de centros sociales y ateneos – aunque nos pueda sorprender – será no mucho menor de esta cifra (unos 70 entre centros sociales okupados y ateneos, otros 50 del movimiento independentista catalán y otros 20 o 30 sin definir ideológicamente). Pero mientras que en los años que iban desde 1910 al 1939, en cada ateneo había 100, 200 o 500 personas asociadas, hoy en día en cada centro social existe un grupo de afinidad que lo gestiona y como mucho algunos grupos más que le dan uso. Es decir, que si tiene éxito, el centro social tendrá una veintena de personas llevándolo, o si contamos los simpatizantes pasarán por el CSO u ateneo unas 50 o 70 personas (que no está mal, claro). En resumen, que si en los años 30 el fenómeno del ateneísmo obrero movía cifras de decenas de miles de socios y militantes, hoy en día son solo unos cuantos cientos de personas y algunas miles de simpatizantes. Entre las necesidades a corto plazo está la coordinación de los centros sociales pertenecientes a la misma tradición ideológica (por ejemplo, los CSO más explícitamente libertarios con los ateneos anarquistas) y la generación de espacios comunes intergeneracionales en los que se transmitan conocimientos y se dé un proceso de formación política de las nuevas generaciones (para que no tengan que “reinventar la rueda” una vez más y caer en los mismos errores que las generaciones pasadas). En tanto a lo que se conoce como “movimiento okupa”… En la okupación barcelonesa ya no predomina el ambiente anarko-punk del pasado, que hacía que la okupación tuviera una cierta coherencia estética e ideológica, sino que ahora se dan muchas variantes con muchos matices políticos y estéticos, que imposibilita que los nuevos okupas se identifiquen políticamente como pertenecientes al mismo movimiento. 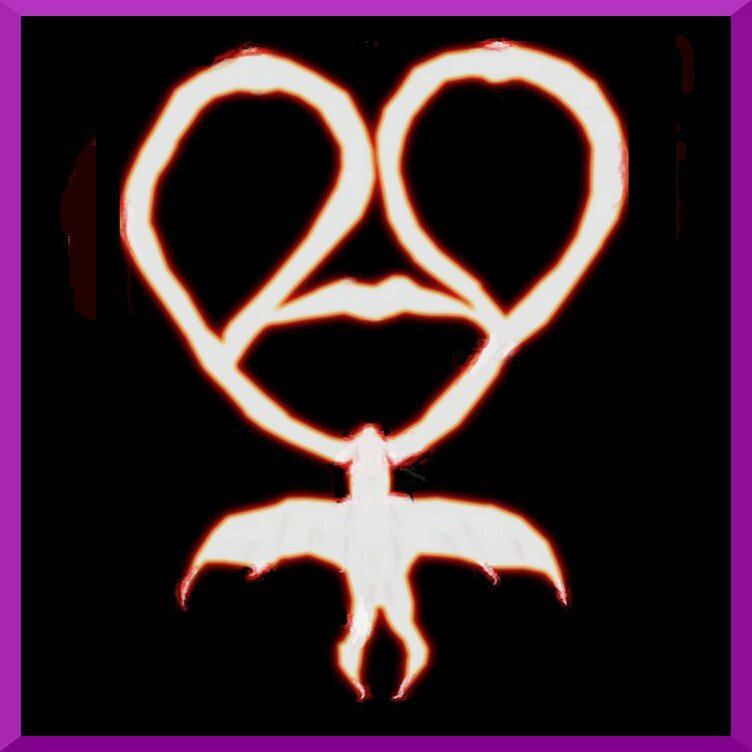 Las hay independentistas, comunistas, autónomas, anarquistas, de mujeres, posmodernas, queer, punks, contra-culturales, raveras, sin definir, etc. No es lo mismo Can Vies, que la Kasa de la Muntanya, ni que la Rimaia o el Distrito VI. Por ello, en tanto a Barcelona, hoy en día se debiera hablar de “okupación” sin más, sin adjetivos, renunciando a hablar de “movimiento okupa”. Creemos que lo que nos debe importar realmente es si un centro social entra dentro del movimiento libertario o no, si participa de su actividad o no. Y si es así, comenzar a generar espacios de entendimiento mutuo y de colaboración. Entendemos que la causa de fondo de que no funcione laAssemblea d’Okupes de Barcelona es el propio hecho de que el movimiento okupa es demasiado disperso. De otra manera, las generaciones van pasando sin profundizar en la práctica libertaria, sin evolucionar ideológicamente, quemándose de forma natural con los años. Por número, Madrid sería la tercera zona con más okupaciones del estado. Hoy en día hay unas 15 en la capital y unas 6 en la Comunidad. Se trata de una cifra récord. Nunca ha habido más centros sociales okupados. Además existen otros ateneos y centros sociales que completan el panorama llegando a haber más de 40 espacios sociales. Ocurre una situación parecida a la de Barcelona ciudad, que en ocasiones se duplican esfuerzos, y que en vez de colaborar se cae en cierto exceso de diversidad. Sin embargo, al existir menos centros sociales que en la ciudad condal, es lógico que se produzca ese crecimiento numérico que posteriormente provoque la derivación posterior hacia los distintos movimientos políticos a los que se adhieren los diferentes centros (anarquistas, comunistas, posmodernos, etc.). Desde luego aún Madrid está en fase de crecimiento, pero al ritmo que van las okupaciones en la ciudad en pocos años se logrará instalar un ateneo o centro social en cada barrio. Galiza, es una zona en la que se ha experimentando un crecimiento más notable de centros sociales, impulsados sobre todo por el movimiento independentista de allí. En algunos aspectos intentan emular a sus correligionarios vascos y catalanes, y de cierta manera han logrado un éxito al pasar de casi cero hasta la veintena de centros sociales en un lustro. En el campo máslibertario hay 5 okupaciones y unos 3 ateneos y bibliotecas sociales. Además hay otros 5 locales en los que pueden encontrarse iniciativas libertarias. En tanto al resto de la península, tenemos el caso de Andalucía, que a pesar de toda su extensión y población la okupación política no tiene tradición más que en Granada, Sevilla y Málaga. De todas formas en los últimos años se han producido okupaciones (algunas no lograron durar) en Córdoba, Cádiz, Chiclana o Morón. 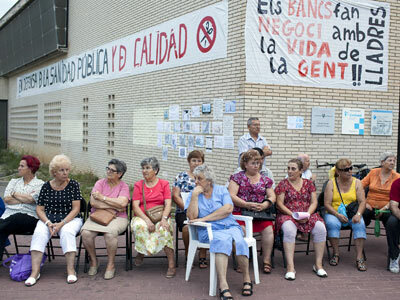 Aquí se dan más las okupaciones de bloques de viviendas con vecinos, en los que también se meten a vivir activistas sociales, convirtiendo la okupación en un centro social ocasional (ocurre lo mismo en Madrid y Barcelona). También se observan nuevos CSOs en la isla de Tenerife (2), Murcia (2), Cuenca (2), Burgos (2; 1 desalojado ya), Logroño, Salamanca, Valladolid, León, Salamanca, Oviedo, Palma, Zaragoza… y muchos lugares que hace años habría sido insospechado como Arnedo, Badajoz, Plasencia o incluso en Valdepeñas (que fue desalojada). Y esto sin hablar de pueblos más pequeños en Euskal Herria, Madrid o Cataluña, que tienen okupaciones (y algunos con incluso varias). Se puede concluir que el fenómeno de las okupaciones, a pesar de las leyes, a pesar de la represión policial y de toda la “mala fama” que lleva asociado, ha permanecido en el tiempo, e incluso se ha extendido por todo el estado español. Ahora mismo todas las comunidades autónomas excepto Cantabria tienen centros sociales okupados, aunque ésta tuvo uno hace tres años y mantiene algunos ateneos. Según el mapa, hay contabilizados unos 140 CSO en todo el estado, pero como siempre, “ni son todos los que están ni están todos los que son”. Desde hace varios años el movimiento libertario ha venido quejándose de la falta deAteneos Libertarios. Normalmente estos ateneos estaban vinculados con los sindicatos anarcosindicalistas, pero hacia los años 70 se crearon algunos en Cataluña que eran autónomos de las organizaciones anarquistas. Con la llegada de la crisis del anarquismo ibérico en los años 80 y los 90, el número de ateneos permaneció muy bajo, y generalmente ligados a los sindicatos anarcosindicalistas que los montaban. De todas formas, desde hace unos 5 años, se está produciendo un repunte mediante la creación de nuevos ateneos explícitamente libertarios. El impulso tiene varios orígenes. Por un lado están los sindicatos que los crean, porque creen que es la línea que deben seguir para la formación de sus militantes y para derivar en ellos su actividad cultural. Por otro lado, tenemos a diferentes activistas anarquistas, que en lugar de crear un centro social sin definir ideológicamente crean un ateneo libertario debido a sus ideas previas. Algunos de estos activistas vienen quemados de sus experiencias en entornos okupados, o bien, de estar en asambleas demasiado plurales para su punto de vista. El caso es que ahora hay unos 50 ateneos libertarios en el estado y cada mes tenemos noticia de nuevos. La creación de espacios liberados, la generalización de estas iniciativas en puntos concretos (ciudades y barrios con varios centros sociales), y su expansión en horizontal (en cuanto a territorio: nuevos barrios, nuevos pueblos y ciudades que van recibiendo grupos de activistas sociales) hacen que la difusión de las prácticas anti-autoritarias esté bastante generalizada. Está claro que a este movimiento libertario de nuestro tiempo le falta una coherencia ideológica. Muchas personas que participan en estas iniciativas se niegan a etiquetarse como anarquistas. No existe una conciencia propia de “movimiento libertario” fuera de los sindicatos libertarios o los ateneos, y de los grupos insurreccionalistas o anarquistas autónomos. Es necesario cambiar esta dinámica y aunar esfuerzos para incluir las diferentes iniciativas libertarias autogestionarias en un movimiento político-social coherente en cuanto a principios y objetivos y a la vez plural en cuanto a tácticas. Pero que todos sus integrantes se sientan parte del mismo proyecto y quieran que sus iniciativas se complementen. Tenemos que empezar a reconocer que ya no somos tan poca gente como hace 15 años, y que es necesario cambiar de perspectiva. El movimiento ya no está tan a la defensiva, encerrado en un cómodo (y a veces ingrato) ghetto, y comienza a expandirse, pero debe saber acoger sin miedo a nuevas gentes provenientes de otras tradiciones políticas, y, sobre todo, a personas nunca antes politizadas. La irrupción del 15M nos recuerda la necesidad de estar atentas a lo que ocurre en la calle, no despreciar ninguna oportunidad para que se escuche nuestro mensaje porque después de todo “algo queda”. Y sobre todo aprovechar cada situación para seguir construyendo esta infraestructura libertaria (espacios, medios de comunicación propios, grupos de apoyo mutuo, medios de autogestión económica, etc.) que será la base de la “sociedad paralela”.